The latest industrial revolution is commonly known as Industry 4.0 but is also strongly associated with the Internet of Things (IoT). Yet just how significant is it? According to John Lichtenstein, managing director of natural resources for Accenture Strategy, it could result in a “quantum leap” in productivity and efficiency, helped along by the convergence of several new digital technologies. The impact varies greatly given that not all companies are starting at the same level. But Accenture Strategy has estimated, based on modelling it has done at several metal production facilities that companies could expect to see around an 11-15% improvement. “This next phase of manufacturing goes beyond the automation and robotics that were part of Industry 3.0,” says Matt Meyer, vice-president of digital innovation at Kloeckner Metals Corp, the Roswell, Georgia, based subsidiary of Germanya��s Kloeckner & Co.
“It involves this whole interconnected data universe where you dona��t just have automated machines, but you have machines that talk to one another,” he added. Tom Garinis, a senior advisor for Deloitte Consulting, describes this as a marriage of information technology (IT) and new operational technologies, including analytics, 3D printing or additive manufacturing, robotics, high-performance computing, artificial intelligence, cognitive technologies and augmented reality, which have all become more prevalent in recent years. This, he says, is part of what has become known as the “smart factory” or “smart manufacturing,” where companies optimise their maintenance spends and improve asset efficiency through such things as predictive maintenance of equipment, pieces of equipment communicating with each other and new forms of human-machine interfacing. Not all of this is brand new, observes Stefan Koch, global metals lead for SAP SE, Walldorf, Germany. It is a long journey, says Chenn Zhou, the founding director of both the Steel Manufacturing Simulation and Visualization Consortium and the Center for Visualization and Simulation at Purdue University Northwest, pointing out that it involves many things that are not currently in widespread use, including machines that are able to communicate with each other and collection of data using smart sensors. There is also a need for artificial intelligence (AI) or deep machine learning to have smart analytics. Many observers suggest that that industry is still in the very early stages of that journey. According to some of the surveys that PwC has conducted, several metals companies are still sitting on the sidelines waiting to see how things are going to play out, he notes. That is not surprising, Richard Oppelt, Accenture Strategya��s principal director says, given that the metals industry tends to be fairly conservative and fairly prudent about its capital investments. One problem has been that Industry 4.0 and the IoT tend to include a certain amount of uncertainty that the company will be able to achieve the desired results. That does not mean there has not been any movement, though. Tomera says some inroads are starting to be made in the addition of connected devices, IoT and connectivity of plant, including the addition of sensors to help with safety and quality control. 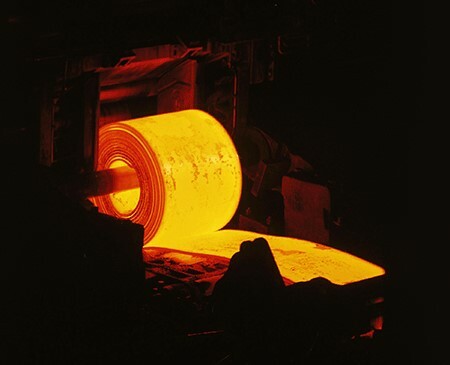 “Whether we like it or not this is already happening in several industries and it is slowly occurring in the metals industry even as we speak,” says Carlo Travaglini, director of technology for Gerdau Long Steel North America. “There might not be a whole lot of receptiveness by the industry yet, but it is going to come,” Travaglini adds, noting that one of the beauties of the Industry 4.0 revolution is that all of the necessary capital investments can be retrofitted into existing operations, making it more affordable and achievable. This, he says, is very different from the last revolution a�� the automation revolution. The metals industry has a way to go but more companies are seeing the value of going down this path. In Industry 4.0: Building the Digital Enterprise, PwC reports that digitisation is moving from being “nice to have” to something that is now seen as being vitally important for differentiation. Metals companies surveyed by PwC said they plan to invest 4% of their annual revenue in digital operations tools over the next five years, with 62% of those surveyed saying that they expect to reach an advanced level of digitisation within the next five years and 55% expecting that to include horizontal value chain integration with customers and suppliers. “We are still in a phase where we are assessing opportunities and focusing on the easier wins,” says Travaglini. He adds that the industry has already begun to do this but at the same time it is being careful to take a mindful approach. Accenturea��s Oppelt says that he does not believe that there is any specific metal or any specific part of the metals supply chain that is leading the charge, noting that he has seen examples of initiatives in both ferrous and non-ferrous metals from mining companies, primary metal producers, distributors and end-users alike. “It is much more company specific and specific to the leadership of that company. The common thread is the willingness to take on a little bit of risk to prove a certain concept or value and to have a process in place to assess the value of such moves and when to keep investing and when to put it back on the shelf for a little while,” he adds. Meyer is quick to say that the support of KlA�cknera��s ceo, Gisbert RA?hl, who sees digitisation as being absolutely key to the future of the metals industry, has been instrumental in Kloeckner Metalsa�� aggressive push in charting a course for Industry 4.0 a�� a move that he admits is unique for a metals distribution company. “If you are really serious about it and really want to make the leap from where you are to where you want to be, you have to think differently and you have to structure your organisation differently,” Meyer says. For Kloeckner Metals, this has included the formation of its Digital Innovation group, which has a digitisation team that operates outside of its IT group and received a great deal of support from its parent companya��s recently built research and development and innovation office in Berlin. Kloeckner is not alone in taking this approach. Oppelt says that at least one primary metals producer is setting up what it calls a digital centre of expertise, also operating outside of its IT infrastructure. In one such case, it is reporting to the companya��s chief operating officer instead. It is looking at how to tie all these elements together and to share the information with its mill suppliers and its customers. Meyer adds that Kloeckner and some other metals companies are also taking logistics and transportation to the next level via greater automation in their trucks. “We know where the trucks are. We can analyse the driver behaviour. We can centralise that information throughout the country and make smart decisions about such things as truck routing,” he says. Gerdau has also taken some steps toward Industry 4.0 a�� Travaglini says this includes the use of smarter robotics. Ronald Ashburn, executive director of the Association for Iron & Steel Technology, observes that robots have been a�� and will continue to be a�� deployed in hazardous areas and elsewhere in mills for repetitive tasks. Temperature and chemistry sampling of molten metal in the furnace is a prime example. “Wea��re now seeing the evolution of machines being able to manage an entire process via artificial intelligence,” he says, maintaining that the person-less melt shop is almost a reality. He says that Gerdau has also added a more conventional, temperature-sampling robotic application in its Petersburg, Virginia, mill aided by a 360-degree, six-camera vision system that enables the company to look into the furnace, allowing it to do such things as inspect the refractory, assess water leaks and consistently assess the overall condition of the furnace on a visual basis. Metals companies have also been making inroads in the collection and analysis of data with an increasing number of sensors a�� including smarter sensors a�� throughout the mill, Koch says. This has already enabled greater digitisation as a whole, often in the form of increases in predictive, as opposed to reactive, maintenance of production equipment, he adds. “By making use of all of the big data that is being collected, companies can identify why something is going well or is going bad” and even predict why and when equipment is likely to fail, he says. Machine learning, which is said to be the first application for AI, could also play a role in predicting when a machine will begin to produce bad quality products or when it will fail in its current setup. With machine learning, the machine takes over the role of making assumptions to predict the future. Koch says that Industry 4.0 technologies and algorithms could be used to pick up certain patterns, thereby speeding up this kind of prediction. “While everyone is looking into AI software, this isna��t the same kind of AI that you see in science fiction movies,” Kloecknera��s Meyer points out. Rather, it is the use of automation to allow the user to make some leaps in logic to help them to streamline their production process through the collection, connecting and sharing of data. The next step is to use these data to create a simulation a�� a virtual world that is a three-dimensional twin of the physical world, either within the production plant or even a virtual representation of the product that the company is looking to produce, Koch says, noting that this enables the company to make conclusions about such things as production performance and product quality. Zhou says that such visualisation and simulation technologies could be beneficial for a wide range of processes throughout the metals supply chain, including the optimisation of both energy usage and the material being produced through simulations that could be viewed in real time. She says this could just be a simplified model of just one process or several models connected together to enable the company to look at the relationship between various processes. Another big part of Industry 4.0 is the potential for interconnectivity throughout the supply chain. Still, this is an area that is slower to take off than the more “in-house” technologies, such as those that involve plant operations and maintenance, Accenturea��s Oppelt says. While there are clear benefits of having more visibility and the ability to track both the status of raw materials and the stage a specific product is in the production process, “it comes down to who will gain the greatest benefits of such investments and collaboration,” he explains. It is also a question of cybersecurity. “When you are dealing with products, the security of competitive information is very important,” Zhou points out. Tomera agrees, noting that adding more connected devices increases the risk of a data breach or of someone hacking into a companya��s IT systems. IT departments have been taking steps in this area, including having better encryption and passwords in place and adding more staff to ensure that everything is secure. “But this is an area that requires constant attention,” he observes. Another big challenge comes from the human resources side of the equation, Koch says a�� workers must have a different set of skills, including those relating to slicing and dicing data to make decisions from that data. Some sales people are initially concerned that they will lose their job because of this shift, Meyer says, but some of that fear is actually unfounded. “Their job really is to manage the supply chain. If they are spending four hours a day typing orders into a computer, that isna��t creating any value. The value is spending that time understanding whata��s going on with your supply base, reconciling inventory against customer demand,” he explains. That said, Meyer adds that over time automation could replace some jobs, including high-technology skill jobs such as coding, web development and data analysis. “While metals companies are currently a step behind in the implementation of Industry 4.0, they should start to catch up over the next two to three years,” Tomera says. This is partly to catch up with their customers that are further along in this process.